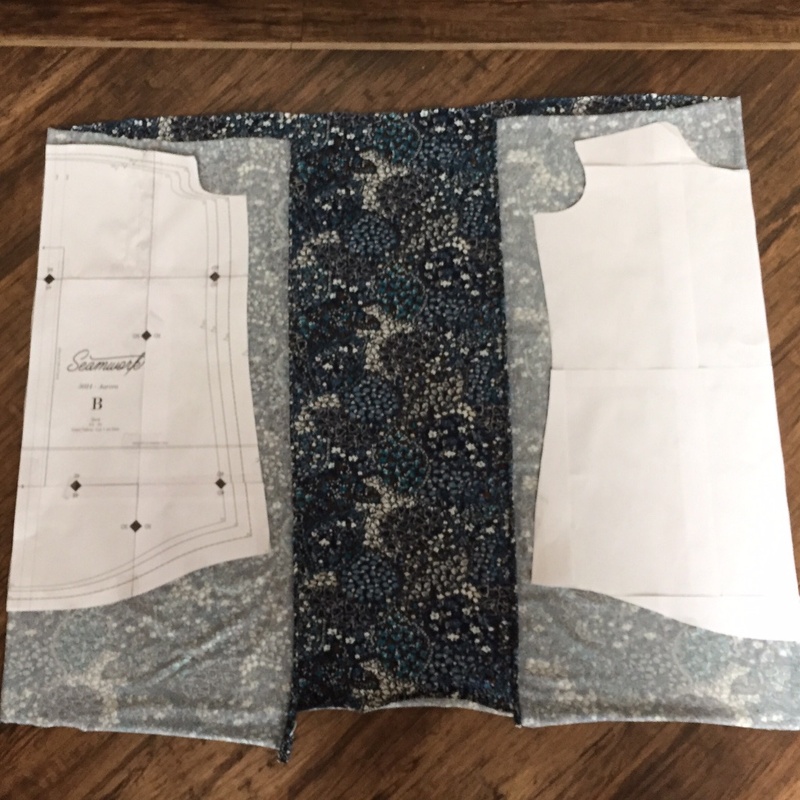 Back in June I printed off one of the latest patterns (then it was!) 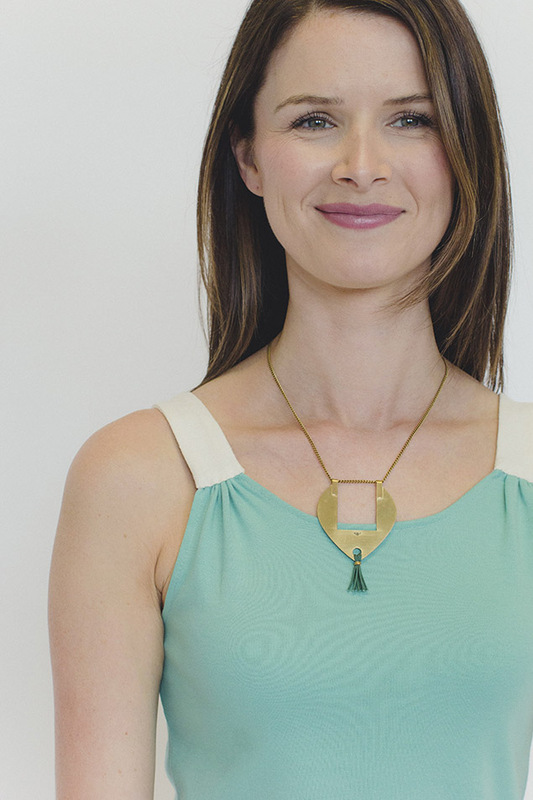 by Seamwork – The Aurora Tank. I was inspired by Helena from GrayAllDay patterns to make one. She made one every day for a week and came up with some fab colour combos, and she also discovered that the yoke could be make in a woven as well as a jersey. I traced the pattern off back then, but it wasn’t until a couple of days before our trip to Taunton in July that I got round to whipping one up. Not sure if it took me 2 hours – I did cut some corners. 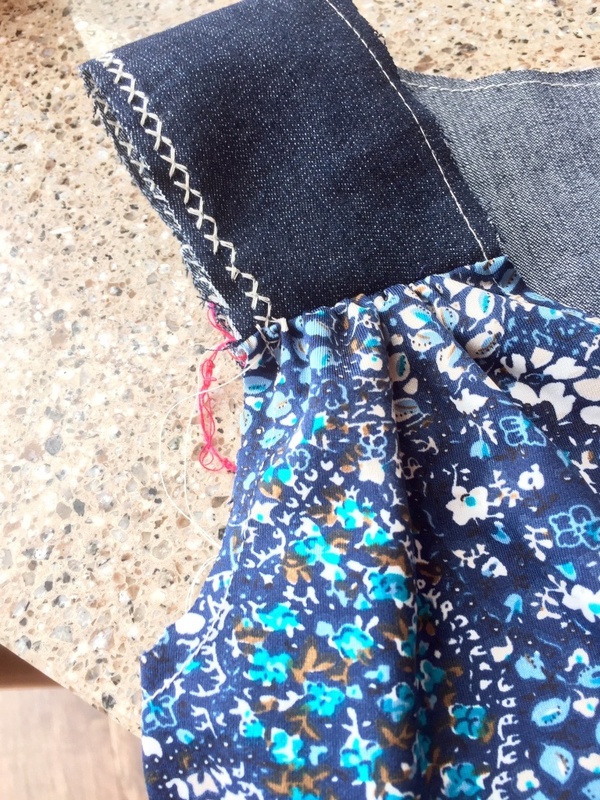 I used a remnant of a jersey from my stash, and for the yoke I had some of the stretch denim from my recently made capri pants. 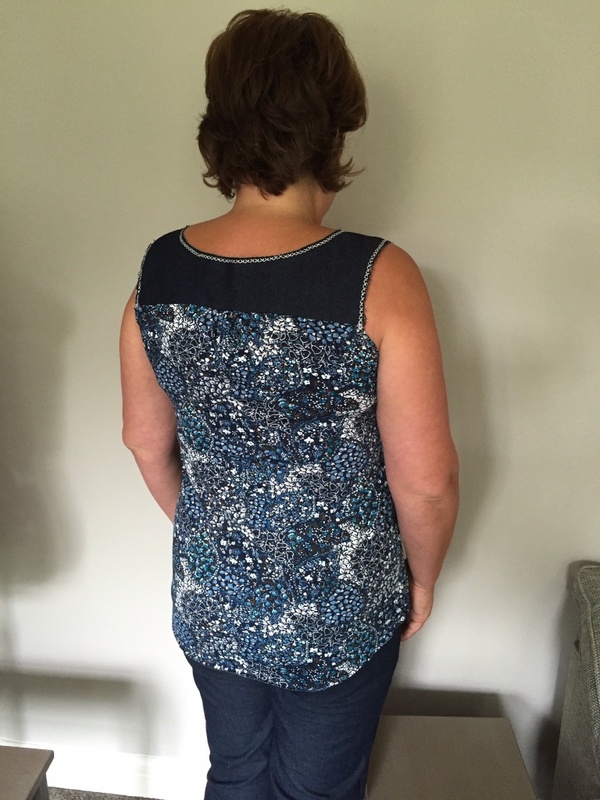 I thought the denim would be too thick for the inside of the yoke so i was going to use an old black viscose top. After I’d cut it out I got lazy and decided the yoke didn’t need an inside as I was going to finish the seams different to the instructions. Cool don’t ya think! A few of my buddies thought I’d hand stitched it! For the jersey part I just left the stay stitching in place to stop it stretching out, and left the bottom unhemmed. How lazy am I!! I just chopped some fabric away and redid the stay stitching. I did smooth out the cutting! I’m not loosing sleep over the unfinishedness of this make – I think it makes it more like a lot of the RTW stuff out there that I want to finish off! It matches my capris and I’ve worn it quite a few times already. Could have done with my shades on! And no I wasn’t about to jump in! There goes another quick little number! 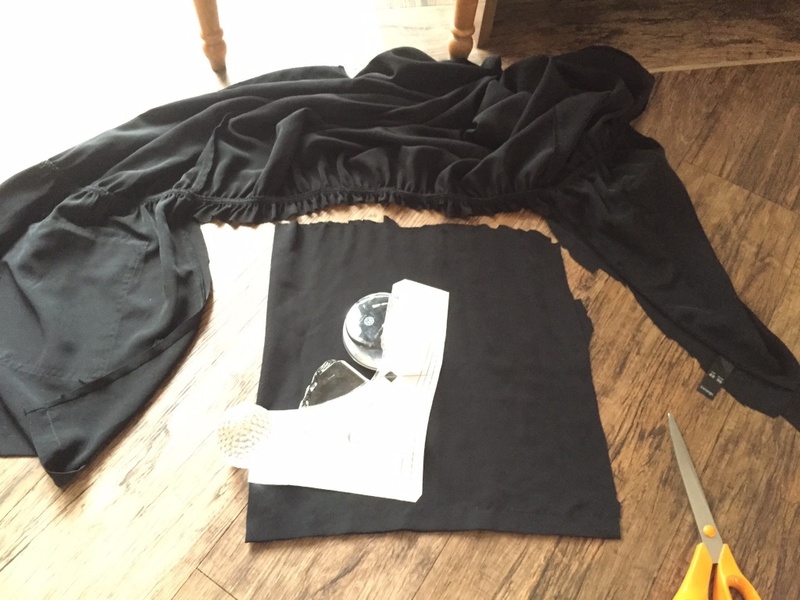 My next make dragged on a while – it’s taken me about 3 weeks on and off to make my Emily Culottes. Yes! You heard right! I’ve made culottes! Just need some pix and they’ll be with you shortly! 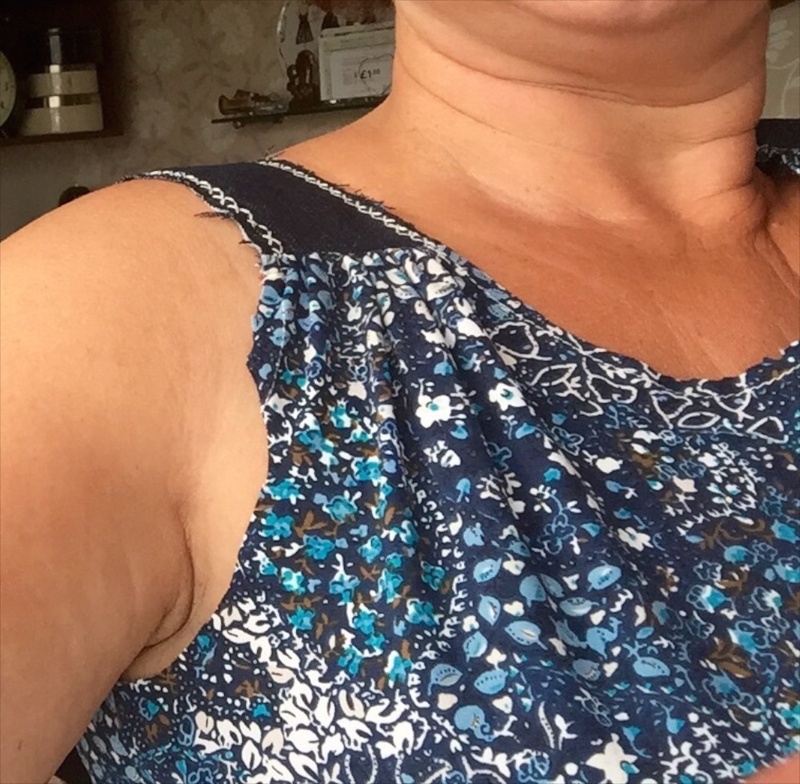 I finished them today and the jury’s still out on them – hubby and mum like then but I’m still not sure. Can’t wait to show you and find out what your verdict is! Gorgeous, I love it! Great fabric!! ooooh, like the fancy stitching, and the denim jersey combo. I don’t mind the unfinishedness of it either, there’s something relaxed and summery about it. The pics are lovely and so is the light on you. It looks really good with the capri. I’m looking forward to seeing the culottes, i’m seriously curious. This is such a nice combination. I like the use of your fancy machine stitching for emphasizing the yoke. I like your decorative stitching- adds a little something extra! And I like the tank pattern too. I will need to make myself a few. 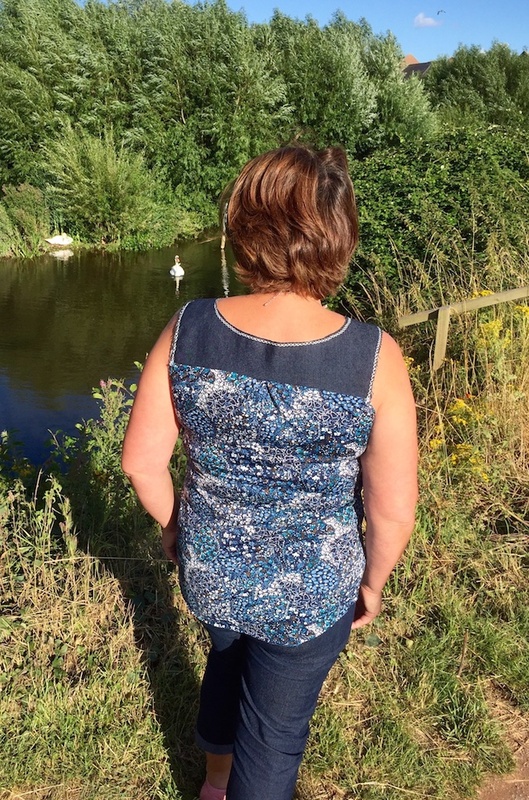 It is perfect for summer and a little nicer than a basic tank because of the yoke! Looking forward to the culottes! Boy, that turned out really cute–love the fabric combination! Perfect vacation wear with your capris. Thanks, i’m really pleased with it, and it looks lovely with my denim skirt too if I want to get my legs out! It goes so well with your capris. 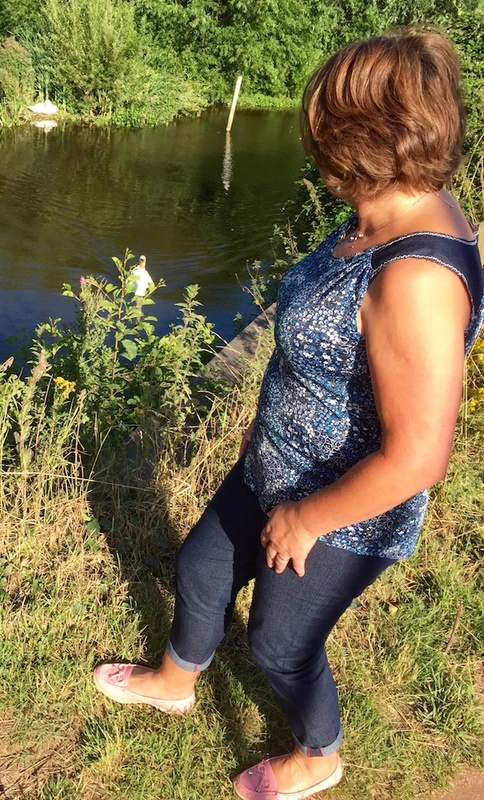 The perfect outfit for a walk along the canal on a sunny evening. I wait to be convinced about culottes!! Nice! Looks lovely with your jeans. 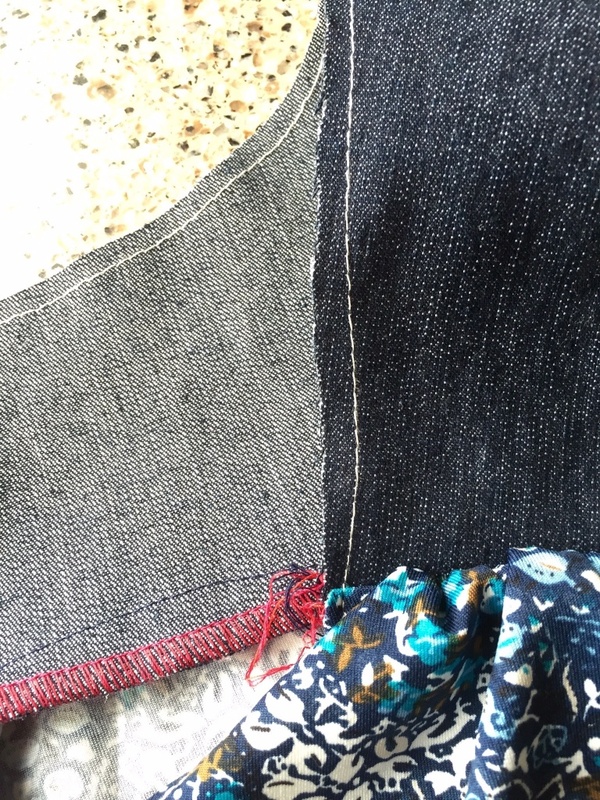 I’m not usually one for the unfinished look but this I love – and your decisive stitching is great. It does look like perfect hand stitching. There are loads of culotte styles so looking forward to seeing what you have chosen. It really doesn’t matter whether it’s ‘finished’ or not as all patterns are just somebody else’s version and up for interpretation. Whatever makes you happy. I love your use of decorative stitching too, and also thought it was hand embroidery! Love this! I think you have just made me decide what pattern to do next to get back into sewing! You always do! The fabric combination is really great and I love the little embroidery touches. 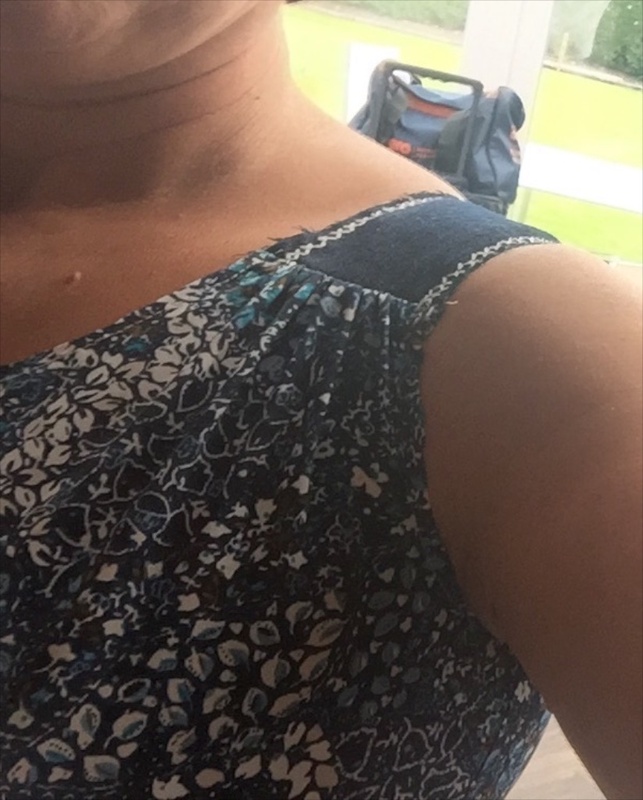 Lovely fabric and I like the decorative stitching idea – nice work! I like! The denim is a nice touch on the top, never would have thought of it. Looks great with the capris, and what a perfect location to romp around. Whoops! Forgot to mention how much I like that stitch you used for the straps! Another great make! What a nice top. 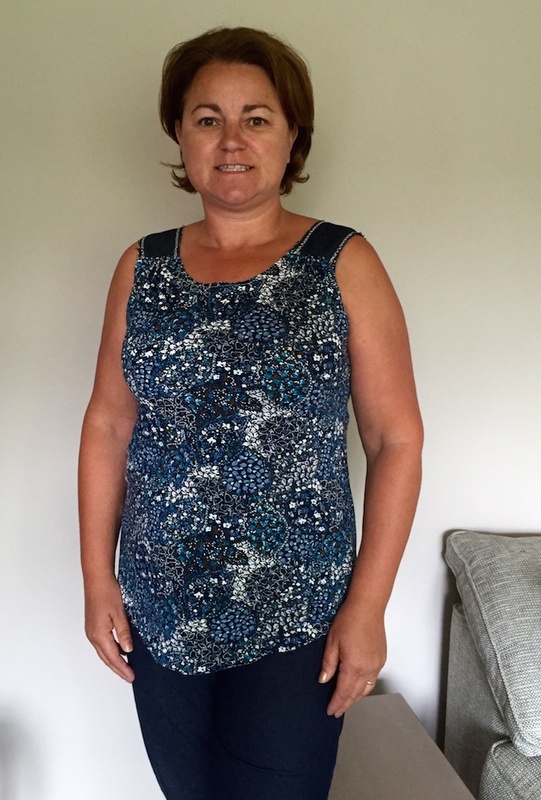 I like the contrasting yoke – wow wasn’t it eco-friendly. Also love the cute little gathers! Really suits you!